Perfect fit! I was pleased. Flimsy cuffs, collar and placket. Uninspiring fabric. Not worth the money even at the sale price. Better options out there. 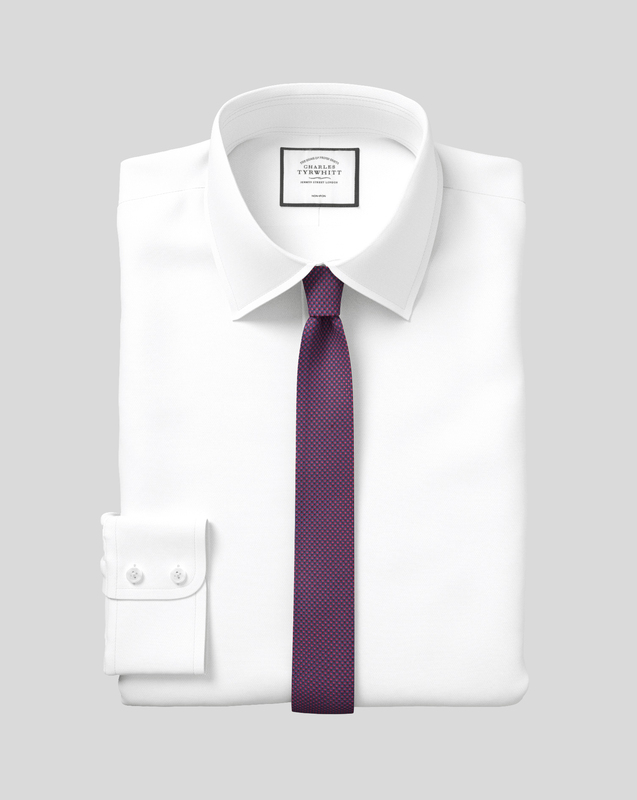 Response from Charles Tyrwhitt: It's awfully disappointing to read your comments here, as we firmly believe (and many customers concur) that the quality of our shirts is top-notch! Nevertheless, we appreciate your candid feedback and will ensure it is relayed to the Products Team. While it's a shame you didn't enjoy your purchase on this occasion, I do hope you will look to order with us again in the future. Purchased for a friend as a gift, he loves it.